This article is number 7 in a series covering the most important tournaments in the 2011 WSOP. Before poker came to be what it is today, it used to be just a family game of card. It has drastically changed through the years with different poker variations. In fact, it is the most sought-after game for frequent casino goers. What’s more, the internet has made it more popular most especially with the availability of free online poker games. After all, learning the basics of poker isn’t as hard as what you may think. In fact, you may hear more about No Limit Hold’em because it is usually the main event in most of poker tournaments. But the tournament is comprised of different poker variations and one of which is Seven Card Stud Hi-Low Split-8 or Better Championship. If you’re puzzled about this poker game, then, read on. The seven card stud hi-low poker is a very challenging poker game because it takes time to learn as well as master the game. The best advice to learn and excel in this field is from the experts in this field. The typical seven-card stud poker is often played for high, which simply means that whoever posses the best high five-card poker hand coming from the 7 traded cards becomes the winner. However, it can also be played with hi-low or a split-pot poker game wherein the pot is split into two, the highest and lowest hand. Most of the 7-card stud poker games are played with 8 or better, meaning the low poker hand cannot keep a card greater than 8 on it. Certainly, it takes effort to configure your mind into this poker game. Now, let us consider the winner of the 2010 WSOP Seven Card Stud Hi-Low Split-8 or Better Championship. with 170 coming out to play for this poker variation. Frank Kassela won the prize money amounting to $447,442 along with the highly-anticipated WSOP gold bracelet. Kassela was a native from Germantown, Tennessee and had already won two titles in WSOP both in 2010; the first one was in $10,000 Seven Card Stud Hi-Low Split-8 or Better Championship while the second one is in $2,500 Razz that made him gain the recognition as Player of the Year Award in 2010 WSOP. Kassela defeated other pros including Allen Kessler, Jennifer Harman, Steve Zolotow, John Juanada, Kirill Rabtsov, Vladimir Shchemelev and Dario Minieri. 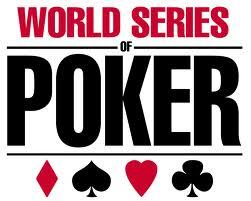 The 42nd WSOP will set center stage on May 31 to July 19, 2011 at the grand Rio Hotel and Casino in Las Vegas, Nevada. The Seven Card Stud Hi-Low Split-8 or Better Championship is scheduled as event #33 on Saturday, June 18, 2011 at 5:00pm. This 3-day event has a buy-in of $10,000. Certainly, this is something to look forward to when exploring the city of Las Vegas.